Solvent-free, breathable interior natural wall paint with high coverage. Very easy to use: Just apply with a roller or brush. 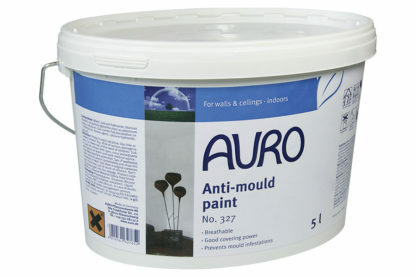 The Anti-mould paint can be tinted with AURO Lime tinting base no. 350 but please note that tinting can modify the product characteristics of the paint. 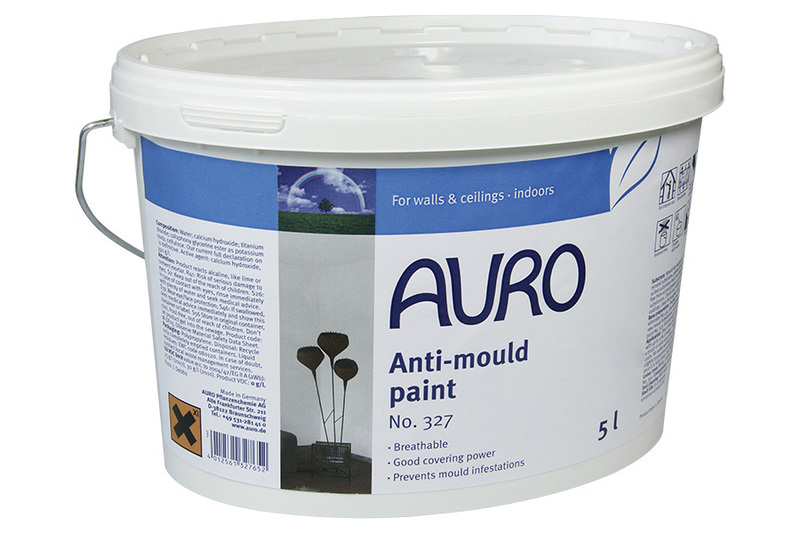 In case of actual mould growth, we recommend the prior use of AURO Mould eliminator No. 412 and AURO Mould stop No. 813. 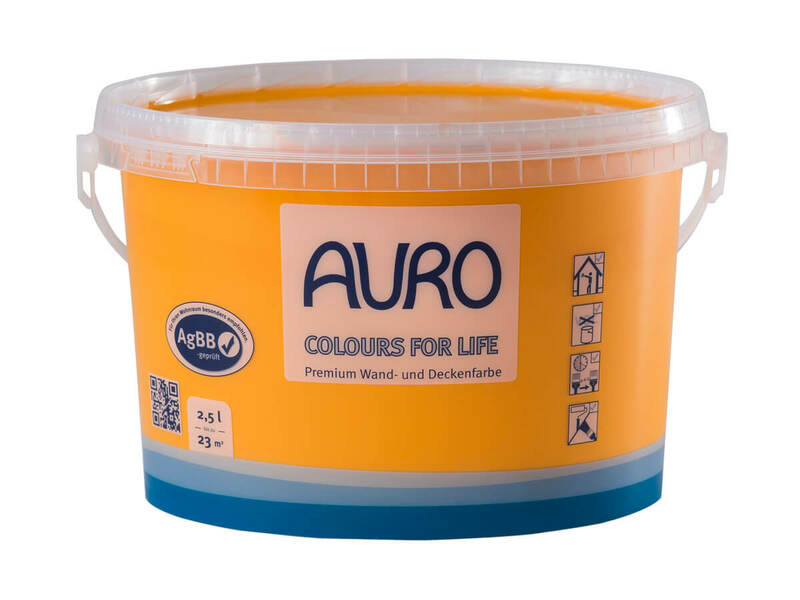 The Anti-mould paint is registered according to the Biocide Regulation at the Federal Institute for Industrial Health and Safety Standards (BAUA). ***Use biocides carefully. Always read the label and product information before using. *** Preventive mould protection thanks to high pH value! Stir well before use, then apply one or two coats swiftly and evenly with a brush or roller. Allow for 24 hours of drying time between coats. The high ph value prevents mould infestations. 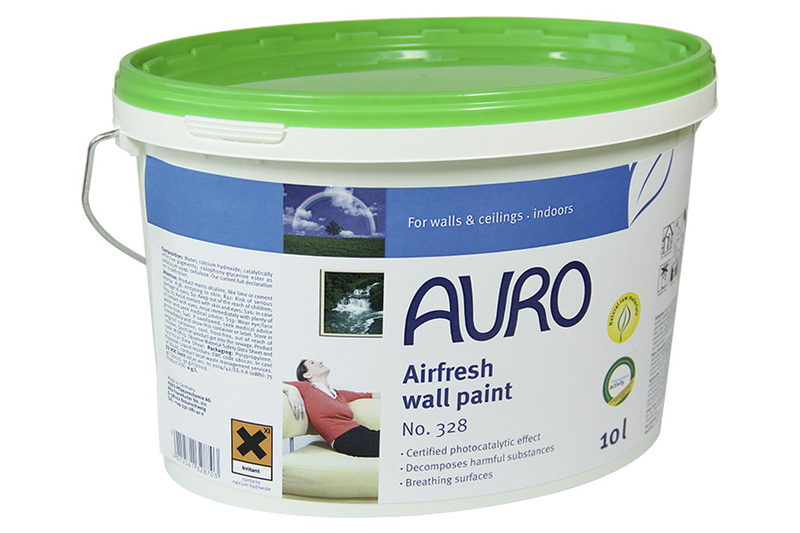 Already existing mould should first be removed with the AURO anti-mould program. The paint dries up transparently and gets its full coverage only after drying.